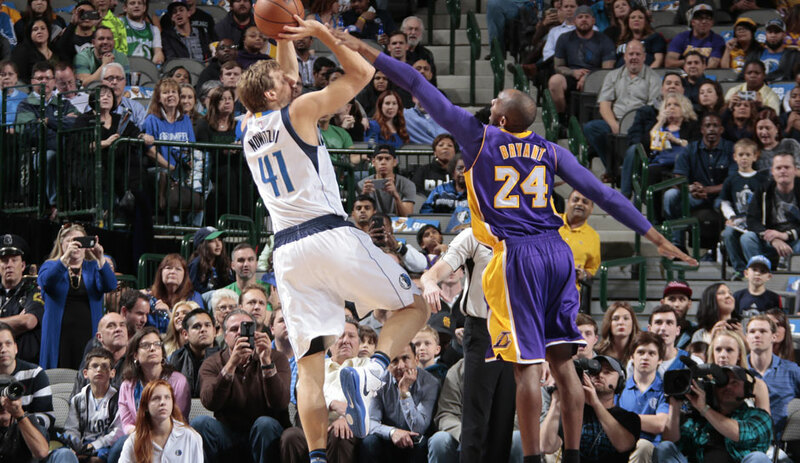 When Dirk Nowitzki set foot on NBA hardwood for the first time this season, he passed Kobe Bryant on the ‘most seasons played with one team’ list, also setting a new NBA record in playing his 21st NBA season with the Mavs. You won’t find players as loyal to one team as Bryant and Nowitzki these days, as loyalty is a dying art in the world of sports. Players like Kobe Bryant, Tim Duncan, and Dirk Nowitzki likely were the last breed of NBA stars to never “jump ship” and leave when their team is not performing up to par. The ability to remain apart of a losing team is something only the best can do; not particularly skill wise, but mentally. Players often move around the league for two reasons; to contend for a championship or for the green paper that the world revolves around. But, loyalty goes both ways, and in today’s NBA even trying to be loyal to a team seems impossible. We’ve seen it when Isaiah Thomas, Blake Griffin and DeMar DeRozan got traded. In case of Dirk though, there never was any doubt about him leaving Dallas, but it’s not like other teams didn’t try. During an interview with ESPN, Kobe Bryant talked about the time he tried to recruit Nowitzki to the Lakers, knowing he’d be rejected before even asking.